Last week we told you about WhatsApp’s test of in-app browsing and reverse image search features on its Android app. Today we learn about two more features that this Facebook subsidiary is working on. 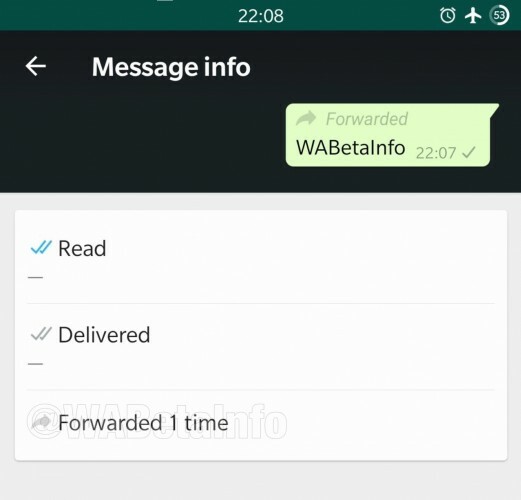 WhatsApp is developing two new features called “Forwarding Info” and “Frequently Forwarded”. 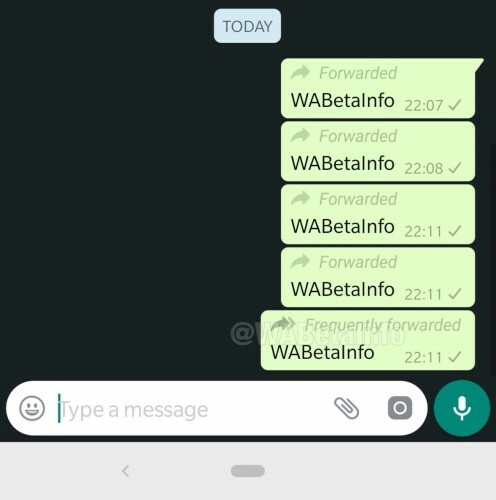 Forwarding Info tells you how many times a message you sent to others has been forwarded. This information is shown in the Message Info section which is accessed by long pressing the sent message and then tapping on the info icon that appears at the top. Both these features were spotted on WhatsApp’s beta app for Android with version 2.19.80, but even if you use this version of the app, they may not be available to you. Furthermore, there’s no guarantee of these features ever seeing the light of day, but we are hopeful that the testing will go smooth and these features will be eventually rolled out to all users around the globe.